Starlite Laser Creations - Laser engraving (etching) and cutting in Edmonton, Alberta - Back in business again! Starlite Laser Creations - Goodbye! I used to offer laser cutting or engraving services for the Edmonton area, so if you had an idea for a gift or keepsake, sign or memorial or award, or whatever stirs your creative juices, you could have brung it on! Sadly, I have decided to shut down the business, and move out to Kelowna. That means that I will no longer be available to clients in the Edmonton area as a local supplier, and for the time being, not as a distant supplier either. My new situation is a bit undecided as on now, since we are right in the middle of the move, so I don't yet have information on whether I will start up again in Kelowna and possibly provide the engraving and cutting services remotely, with shipping to Edmonton, or not. So, until further notice, I am not taking on any new clients, and this is it for me. To any customers that have had projects done by me, thank you for your business! It has been a rewarding, ever-changing, challenging, fun period of my life, and you have always kept things interesting. 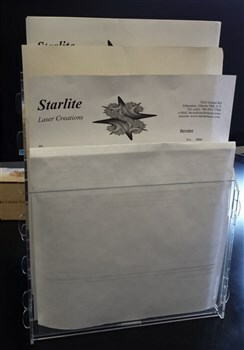 Starlite Laser Creations was formed in August of 2007, and has been brought to a close in August of 2018 (over 11 years now! 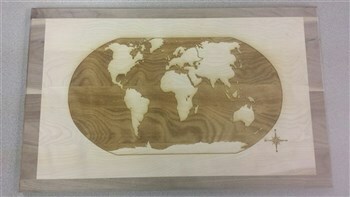 ), and our mission was to produce the best quality laser engraved products in the Edmonton area. Now that I have moved to the Kelowna, BC area, I may or may not revive the business and start up again serving that market, but it is too early to tell just yet. Stand by! Starlite served a broad range of customers, with the ability to engrave and cut a wide selection of media. As you can see by some of our photographs (have a look at the galleries of sample products by following the links at left), there are many things we did with our laser. 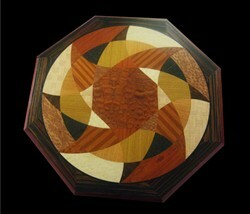 We produced samples since we first started up the company, and you can see the results in our galleries. Some of the ideas we have tried include engraving wine glasses and bottles, cylindrical dowels for walking sticks or pool cues, custom inlaid tabletops, floor tiles, family and wedding photos, glass and acrylic artwork, signs, and many other products. Like Yoyos! Please don't hesitate to call if you have an idea you think we can help you with. We welcomed the opportunity to rise to the challenge of your creativity. If you were looking for unique, classy Christmas gifts, or wedding presents, or awards, or promotional items, birthday or anniversary gifts, memorials for a loved one or a pet, decorations for your home or business office, signs for your showroom or your trade show booth, Valentine's day gifts, party favors for the wedding or the bridal shower or baby shower, or if you just wanted to personalize or mark your property as yours, We were here to help you out. We aimed for Awesome (though sometimes we had to settle for merely Excellent), so you were quite likely to be happy with the results. Payment methods accepted: Mastercard, Visa, Debit, e-transfer, cash, and cheque. Sorry, no American express. I prefer Debit, if you can, but credit cards are accepted, if you must. So, have a browse through the historical galleries (links at left), and check out our products and services links (menu above), to get an idea of what we were all about, and what we could (but no longer can, sorry!) do for you. Thanks for visiting with us! Please note - the spelling of the company name is not Starlight Lazer Creations - we use the spelling Starlite, and Laser always has an S, not a Z. Also, Starlitelaser.ca is a laser hair removal website, not affiliated with us. They are in Richmond Hill, Ontario, and we were in Edmonton, Alberta. Now that the business has shut down, I have moved to Kelowna, and as of now it is uncertain whether the business will be ressurected to provide services in that market.